Microsoft CEO Satya Nadella had earlier said that Windows 10 has a target of reaching out to 1 billion devices across the world, having the outlook of being a universal platform for different devices. While it remains to be seen whether Windows 10 will achieve all of the goals that Microsoft has spoken about prior to its launch, it has had a good start, with a majority of the reviews turning out positive. Apart from the visual revamp, Windows 10 sees the return of the Start menu, a slight rearrangement of icons, and a host of usability upgrades like faster, smoother using, multitasking views, Edge (the browser replacement of the age-old Internet Explorer), Cortana (although it isn’t here for India yet), and quite a few more upgrades over the very cluttered Windows 8. With plans to make Windows 10 a universal platform for PC, mobile, gaming consoles and virtual reality setups, Microsoft is touted to launch Windows 10 for phones some time in near future. In a recent interview, Satya Nadella mentioned that Windows 10 for phones will be a seamless part of Windows 10 experience, and the Continuum feature will switch a smartphone running Windows 10 into a functional PC when connected to a larger display, keyboard and mouse. Microsoft’s current strategy is to maximise its reach by distributing Windows 10 for free across all existing devices, while licensing versions for new ones. As part of this, even pirated installations of Windows 7 or 8 will be eligible for an upgrade, albeit with a pirated tag on the display and frequent pop-ups to disrupt convenience of use. Microsoft has stated that Windows 10 is the ‘final’ version of Windows, and future upgrades will be rolled out to this platform only. It has also stated plans of phasing out support for Windows 7 and 8, thus bringing its entire user base up to speed with Windows 10. 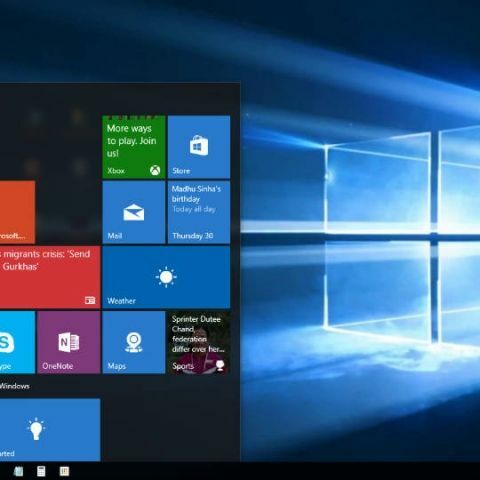 As of now, it is spreading out Windows 10 fast and wide across.